Canadian micro-publisher Spectacular Optical is pleased to announce its forthcoming book devoted to the darkside of holiday entertainment, YULETIDE TERROR: CHRISTMAS HORROR ON FILM AND TELEVISION, to be released in the last quarter of 2017. This comprehensive new collection of essays is set to deck your halls with insightful looks at all your festive fright favourites, from the BBC’s A GHOST STORY FOR CHRISTMAS series to SILENT NIGHT, DEADLY NIGHT (and the ensuing controversy), from Eastern European folk-horrors all the way up to the seasonal succubi of the “New French Extremity”—followed by a compendium of over 200 Christmas horror film reviews. Canadian micro-publisher Spectacular Optical is pleased to announce its forthcoming book devoted to the darkside of holiday entertainment, YULETIDE TERROR: CHRISTMAS HORROR ON FILM AND TELEVISION, to be released in the last quarter of 2017. This comprehensive new collection of essays is set to deck your halls with insightful looks at all your festive fright favourites, from the BBC’s A GHOST STORY FOR CHRISTMAS series to SILENT NIGHT, DEADLY NIGHT (and the ensuing controversy), from Eastern European folk-horrors all the way up to the seasonal succubi of the “New French Extremity”—followed by a compendium of nearly 200 Christmas horror film reviews. 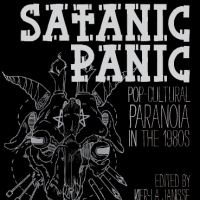 YULETIDE TERROR follows on the success of Spectacular Optical’s previous books KID POWER!, SATANIC PANIC: POP-CULTURAL PARANOIA IN THE 1980s—the latter of which promptly sold out and was reprinted in a second edition by the UK’s FAB Press–and LOST GIRLS: THE PHANTASMAGORICAL CINEMA OF JEAN ROLLIN. It is the fourth book in Spectacular Optical’s ongoing series of limited run film and pop culture books. 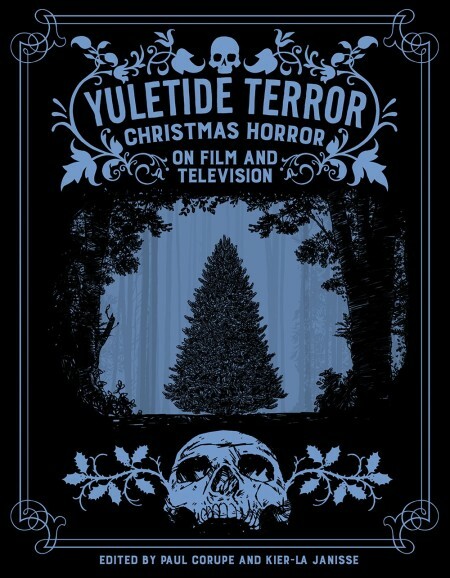 Contributors to YULETIDE TERROR include Stephen Thrower (NIGHTMARE USA), Kim Newman (NIGHTMARE MOVIES), Caelum Vatnsdal (THEY CAME FROM WITHIN: A HISTORY OF CANADIAN HORROR CINEMA), longtime FANGORIA editor Michael Gingold, Shelagh Rowan-Legg (THE SPANISH FANTASTIC), Alexandra West (FILMS OF THE NEW FRENCH EXTREMITY), Michael Helms (FATAL VISIONS), Andrea Subissati (The FACULTY OF HORROR Podcast), Zack Carlson (DESTROY ALL MOVIES!!! 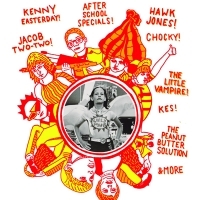 ), Joanna Wilson (THE CHRISTMAS TV COMPANION), Diane A. Rodgers (CINEMA RETRO), Andrew Nette (PULP CURRY), Amanda Reyes (MADE FOR TV MAYHEM), David Bertrand (SATANIC PANIC), David Canfield (SCREEN ANARCHY), Eric Zaldivar (co-writer/producer, DJANGO LIVES! ), Leslie Hatton (POPSHIFTER), Owen Williams (EMPIRE), Ralph Elawani (BLEU NUIT: HISTOIRE D’UN CINÉPHILIE NOCTURNE), Derek Johnston (HAUNTED SEASONS: TELEVISION GHOST STORIES FOR CHRISTMAS AND HORROR FOR HALLOWEEN), Neil Mitchell (Devil’s Advocates: CARRIE), Chris Hallock (DIABOLIQUE), Ariel Fisher (RUE MORGUE), Luke Mullen (Fantastic Fest), Lee Gambin (NOPE, NOTHING WRONG HERE: THE MAKING OF CUJO), Zach Clark (writer/director, WHITE REINDEER), Justin Decloux (LASER BLAST Film Society) as well as Spectacular Optical co-editors Kier-La Janisse (HOUSE OF PSYCHOTIC WOMEN) and Paul Corupe (CANUXPLOITATION). The cover is illustrated by British artist Alisdair Wood, who has also created the chapter headings throughout the book, and the book also features artwork from Rick Trembles, Mainger, Justin Erickson of Phantom City Creative, Michelle Winer and Lauri Ahonen, along with hundreds of stills and posters!